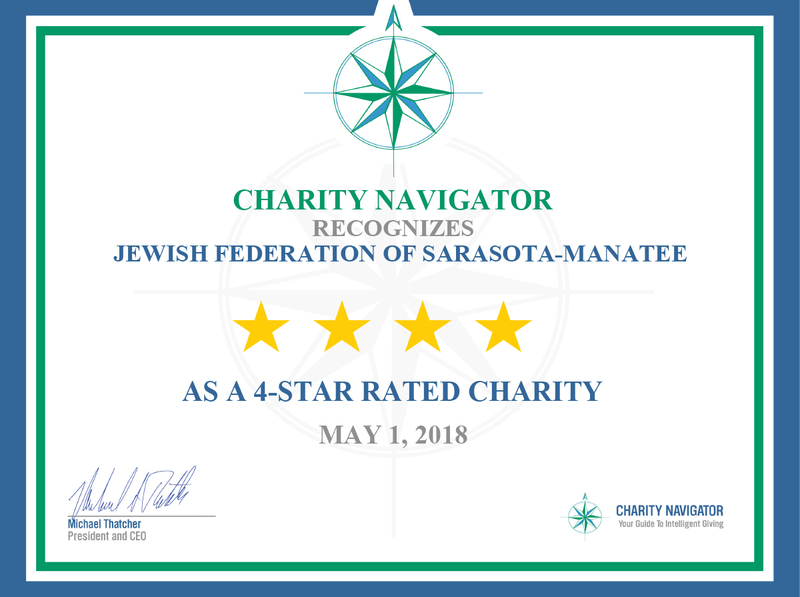 Thousands of individuals and families in Sarasota-Manatee turn to The Jewish Federation of Sarasota-Manatee to connect with the local Jewish community and the State of Israel. Through our programs and special events, Federation consistently pursues its mission, "To strengthen Jewish life and identity in our community, provide for Jewish people in need, and promote support for Israel." We are confident that your partnership with Federation will bring maximum value to both your organization and the greater community. Our highly publicized events and programs provide the opportunity to establish contact with some of our community's most prominent philanthropists, business leaders and entrepreneurs. The Federation offers two levels of event/program sponsorship, each tailored to meet a unique set of philanthropic goals. Click on the links below for more information on each sponsorship program.